Khartoum — Yesterday, the security forces released activist Kamal El Zein, Abdu Ishag, and Ibrahim Abdallah from the NISS detention centres near the Shendi bus station and Kober prison in Khartoum North after they had spent 33 days in detention camps on charges of working against the voluntary return of refugees. El Zein told Radio Dabanga that they were "arrested by the Chadian intelligence from inside the refugee camps in Chad at the end of November and they were handed over to the Sudanese authorities in El Geneina, capital of West Darfur". 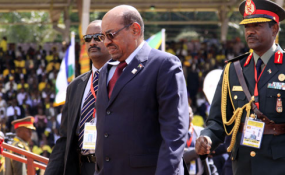 He said they were arrested despite having official permit about the visit by the Sudanese authorities. El Zein said they were held in detention camps in El Geneina for 18 days and then deported to Shendi and Kober where they stayed for two weeks before being released in mid-January. He pointed out that they were severely beaten with electric cables, subjected to water spray and sleep on the flour, along with verbal abuse, accusing them of planning destructive action inside the camps and obstructing the voluntary return of refugees and displaced persons to their villages. He said the security detention centres in Khartoum were overcrowded and were subjected daily to torture and mistreatment. He appealed to human rights organisations and civil society organisations to press the authorities to release the detainees in their prisons. In April 2018, the first large-scale voluntary returns from Chad took place when the UNHCR and the Commissioner of Refugees (COR) assisted dozens of Sudanese refugees from Chad in their return to Kabkabiya, Saraf Omra and Karnoi. The operation was planned to continue in December last year.